NEW YORK: Fenton has appointed David Richeson, former chief digital officer and MD at Kaplow Communications, as global chief digital officer. Richeson, who started working at Fenton on March 4, is reporting to CEO David Fenton. Richeson has nine direct reports on the firm's digital team, which he said he hopes to expand with new hires this year. Richeson said he grew Kaplow's digital team from three staffers to 18 in a year and a half at the firm. His day-to-day responsibilities at Fenton include leading the social media and digital practices, building processes to foster 360-degree storytelling, and working with clients to plan holistic, trans-media initiatives. He will also travel to the network's offices to work with staffers and clients on large projects. One reason Richeson said he was drawn to Fenton is the agency's history in social change, such as its past work with Nelson Mandela to fight apartheid. “To be able to take my ideas of 360-degree storytelling and use them 100% to make the world a better place is a wonderful honor,” he explained. Richeson added that Fenton also attracted him because the firm does not wait for clients, it considers what it wants to change in the world and then figures out who to partner with to make that happen. Richeson is Fenton's first chief digital officer since Dean Hollander left in 2011. After Hollander's departure, John Gordon served as SVP of digital at the firm until he exited the agency at the beginning of this year. 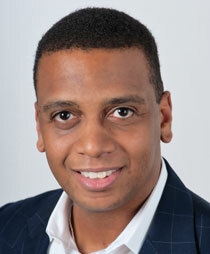 Fenton named former Waggener Edstrom Worldwide executive Jean-Louis Robadey as MD of the West Coast in November. It also unveiled its global public interest agency network in August. Prior to joining Fenton, Richeson spent a year and a half at Kaplow, first as SVP of consumer technology and K:Drive, the agency's social and digital media practice. He was promoted to chief digital officer last March. Before Kaplow, Richeson served as SVP of global digital and PR at Porter Novelli. He joined the firm in the summer of 2010 and led PR and social media strategy for the Omnicom Group agency's former Procter & Gamble Gillette account.